When Owen sends a real hug to his grandmother for her birthday he inadvertently brings cheer to the postal workers as they pass the hug along. Millie the cow loves to scare the mailman and chase him off the farm, until the mailman comes up with a plan that ends up pleasing everyone. It's almost Valentine's Day and James has put a very special Valentine's Day card in the mail. The little card has to travel a long way. It rides in a truck and an airplane. Lift the flaps, and you can follow the funny valentine on its exciting trip through the mail! Summary: In 1888, Owney, a stray terrier puppy, finds a home in the Albany, New York, post office and becomes its official mascot as he rides the mail train through the Adirondacks and beyond, criss-crossing the United States, into Canada and Mexico, and eventually traveling aroud the world by mail boat in 132 days. Pete the cat gets construction workers and equipment to build the coolest playground ever. 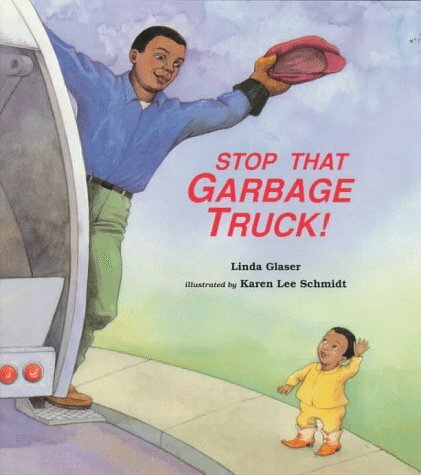 When Mike Mulligan and his steam shovel, Mary Anne, lose their jobs to the gasoline, electric, and diesel motor shovels, they find a new opportunity in a very surprising place. Two children follow their father to work when he forgets his lunch and they get to see the sights and sounds of a building site, including breakers breaking, diggers digging, and cranes hoisting. Shy Henry eagerly waits to see his "buddy" on the garbage truck every time it comes--and finally manages to speak on a day when there is a small emergency. Amos McGee, a friendly zookeeper, always made time to visit his good friends: the elephant, the tortoise, the penguin, the rhinoceros, and the owl. But one day, he woke with the sniffles and the sneezes. Though he didn't make it into the zoo that day, he did receive some unexpected guests. A young boy and girl visiting the zoo watch the keepers as they take care of their animals and decide to become zookeepers when they grow up. This book follows a zookeeper through the work day, and describes the occupation and what the job requires. Although a lion's unusual name causes confusion and misunderstanding at the zoo, she becomes a favorite with the public and with Seymour the zookeeper. Presents the illustrated lyrics to the traditional song which describes the many noisy vehicles that can be seen near the train station early in the morning. Features die-cut pages. Note for HMCPL patrons: This is an oversized book. Yes, it is massive!